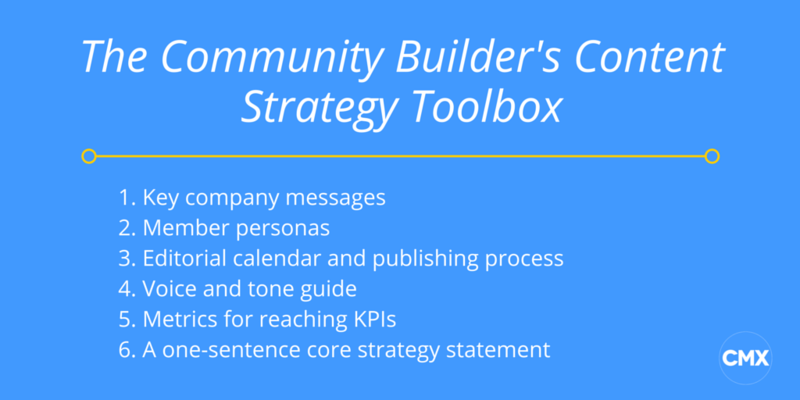 Ready to create your community’s content strategy? 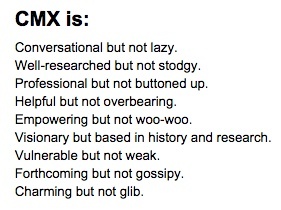 Read The CMX Guide to Content Strategy for Community Professionals for free. Companies building the fastest growing, most engaged communities know something that most other companies don’t. It’s not growth hacking or how to get the right influencers on board — though both might lead to some quick wins. Do you know the crucial ingredient to building an engaged community? It actually has nothing to do with community at all. It’s about content. Why is that? These companies know that building a community is intentional. But not intentional in a let’s-get-people-to-buy-our-product kind of a way, but one that strikes a chord with their members’ aspirational selves. A successful community is deliberate, but not dogmatic, about the way it grows. Growing a community for the sake of growth might pay off in the short term, but without a thoughtful approach, it could just as easily morph into a place no one wants to be. The best way to create that thoughtful approach is through communicating your community vision through content. And while content has been a huge business driver for companies like Marriott, Facebook, GE, and Red Bull, a consistent strategy is what keeps everything in place. And yet it is missing in so many companies. “Seventy percent of companies are operating blindly… They are throwing stuff on Facebook, creating videos and white papers because all the cool kids are doing it,” says Rebecca Leib, VP of Content Marketing at Teradata Marketing Systems. This is what many people are doing with their community strategies as well: starting meetups, sponsoring events, and saying yes to everything because they have no clear strategy in place. We share our own experience as well as our conversations with Amy Cao of FiftyThree, Jess Erickson of 500 Startups, and Erik Torenberg from Product Hunt about how fast-growing communities think about their work, and how this thinking drives their success. Whether you manage a community team, are making your first community hire, or head the marketing department, the real lynchpin in all of your community work is this: content strategy. Fundamentally, setting your company’s intent is about setting your purpose: knowing why you do what you do and aligning your actions with the overarching goal for community. Defining your community’s intention — and, more importantly, building a solid foundation to share it — is where content strategy can help sustain your community efforts. As part of my role with CMX, we completely overhauled our approach to content, and we have already witnessed measurable impact on our business. Some of the results of our strategy overhaul include: With more clarity behind our content, we’ve formed stronger partnerships that benefit our members, gained wider international reach for our stories and newsletter (members outside the US have increased from 20% to 40% of our membership post-CMX Summit East), and have attracted more companies to attend CMX Summit West. And we’ve just started. If we seem brimming with enthusiasm, it’s because we came to this a-ha moment: content strategy is the basis for community strategy. To successfully scale your community over the long haul, you must communicate your intent again and again. Content strategy is the vehicle that does exactly that. If you feel like there’s no time to take a step back and outline a concrete plan, consider this: community decline always starts inconspicuously. Fuzzy thinking leads to poor decisions — and leads to messy initiatives, meetups that have no goal in mind, launching platforms that die within a few months, and communicating inconsistently with members who then churn week after week. The overall impact of ignoring content strategy? Erosion of trust and alienating the loyal customers that built up your community in the first place. Your brand is your company’s promise. Content strategy gives your team — and anyone who has a hand in building community — a shared basis for decision-making as you deliver on that promise. And this is why content forms a bridge between brand and community. Content strategy helps teams arrive at consensus. Like a basketball game, the rules and boundaries are already set. What position you play and where you shoot the ball depend on what strategy your team follows. As a community professional, it’s your job to set the community vision, organize communication, and make sure both are appropriate for the brand. To do that, it must fill a clear need for them in all of your communications. 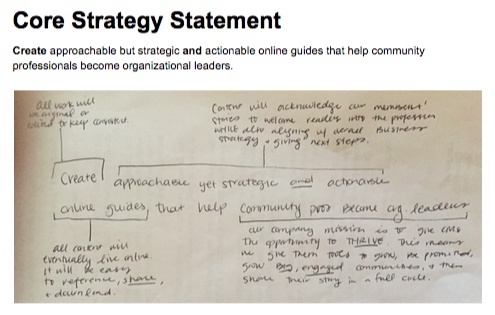 In a content strategy roadmap, this boils down into six clear guiding principles. What are 2-3 messages you should communicate in every single piece of content you create around your community? Break down your members into personas that will help you decide who you are creating for when you create content. Here are some tips for doing so. You need to organize your community content and decide who owns which piece of it. Moz has some key tips here. All of your content should uphold the same voice and tone. This allows you to scale all of your efforts and scae your team. We go into this in more depth below. Mailchimp is our continual inspiration, and we will give you a sneak peek at ours below. What business purpose does your content serve? Adding to a mailing list? Increasing helpful content to members? This will depend on your own situation. We will go into this in more depth below. Knowing these six pieces is vital for expressing your brand (your company’s promise) consistently — to the right people, in the right places, in the right way, and for the right reasons. If you’re not sure what “right” means for your community, talk to your members and your stakeholders who influence community strategy. This might involve surveying them, talking to them individually or even observing them. My background is in UX, so I bring that to my content strategy work. Choose a specific segment. Are you targeting a subset of your audience? Record who they are and give them a name. Recruit the right people. In this case, you might search for members who joined recently. You could also search for someone who joined the community but quickly left. You don’t need more than five people for this. Interview them. Focus on uncovering their attitudes and beliefs, concerns, prior experiences, actions they take to decide, and motivations for seeking to join a community. Analyze your interviews. What did you learn? Did it validate your assumptions or break them? Look for patterns across people you interviewed. Fill in missing information on the document you created earlier (Step 2). Do you have a better understanding of what you were wondering about? Gather insights. What could your findings mean? Does your current content meet their needs? Do you need to adjust your voice? Is your content reaching your target audience where they want to be reached? Translate your findings into plans. Think about how you would communicate it to your team, too. Note: You could swap out interviews with another method such as in-depth surveys or ethnographic research in step four. Do you have to create all the pieces in the content strategy roadmap? Not necessarily. Other teams like marketing or customer support might have already created them. If so, great! Review their documentation to fill in what you need to know. The best source of insight comes from talking directly with community members, so whenever possible, get their input on how their needs might have shifted. This is exactly how content strategy is working at some of the most successful and fastest growing companies right now. Interestingly, the smartest teams we speak to seem to understand the importance of content strategy almost inherently, and they start to scale content strategy almost without realizing it. We reached out to three companies to give you examples of how content builds fast-growing, engaged, and resilient communities. Here are four tenets you should consider when you create an actionable content strategy. 1. Content strategy must be aspirational. Whatever else your strategy includes, it must be aspirational. It must help your community members become better versions of themselves. At FiftyThree, the company’s core message shines through loud and clear in their content: Everyone has ideas. Here is how people around the world capture those ideas. Amy Cao, who runs content at FiftyThree, has been with the company for almost three years. Over that time, she has helped to shape and organize this message. She admits that it wasn’t always so clear-cut. Jess Erickson, Director of Marketing at 500 Startups, explained a similarly aspirational spin to their content at 500 Startups. Jess has been with 500 Startups for about a year, and in that time, she has realized a need to grow and scale the content strategy. She is currently a team of one, but they’re hiring a content marketer/conference producer to join her and do just that. 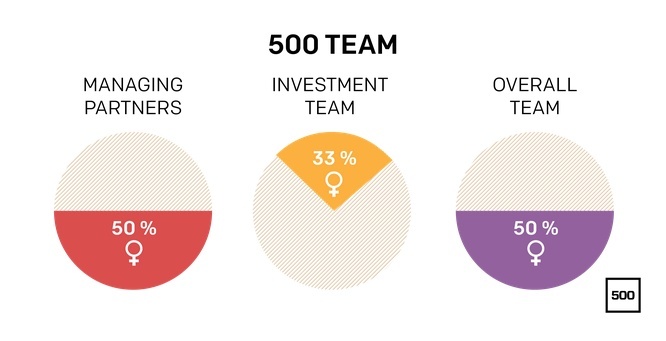 All of 500 Startup’s content exists to inform and educate founders and investors. But they’re not afraid to peel back the curtain either. Their biggest project to date is a new show on Syfy called The Bazillion Dollar Club. “It’s important that we don’t sugarcoat everything,” says Jess. 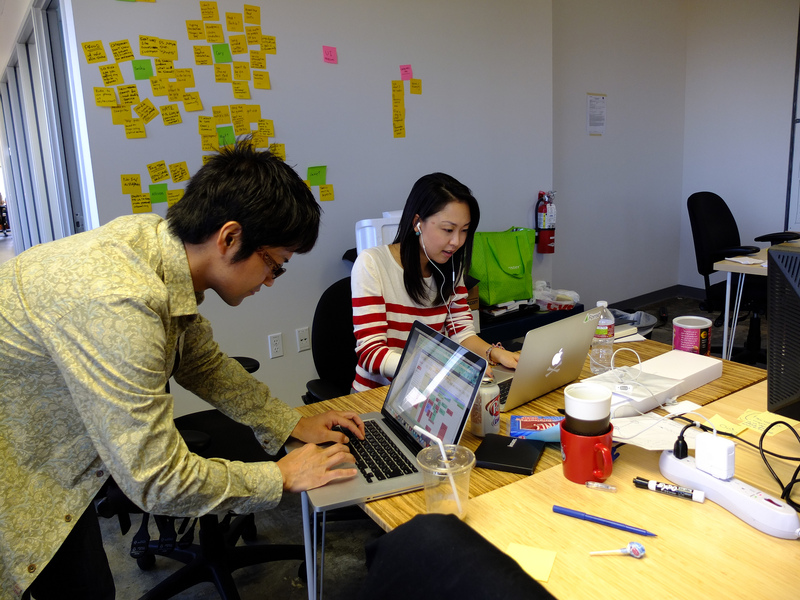 “We want to educate people on what it’s like to start a company. Not everyone is a rockstar, crushing it.” But they’re still communicating the entrepreneurial dream at every turn. The same is true of the Product Hunt content message. Erik Torenberg, Head of Community for Product Hunt, has ceded a lot of content creation to the community itself. For example, the site, Maker Success, is a passion project of Eric Willis, which enables users share their own launch stories on Product Hunt. “We often highlight and reference the earliest ones,” Erik says. “We don’t yet have our own content platform, but we feature users’ blogs and podcasts.” As the team grows (Melissa Joy Kong, a content strategist, has just joined their team), they will begin to concretize their strategy in order to scale effectively. What can we learn from these three leaders? The lesson is that content should help others envision the future of the community. Exceptional content not only teaches, but inspires members to think beyond themselves. It’s mission-driven — communicating that people are part of something larger. As a byproduct, people join your community because it serves as a place to fulfill their aspirational self. 2. Content strategy should evolve over time as you have conversations with new members. Remember that content strategy is ongoing and needs fine-tuning over time. “When we were a younger company just starting out, we were just trying to learn how people were using our app, Paper. We were not being strategic,” Amy Cao explains. At that time, Amy served as the de facto community manager for the company and spent most of her time collecting stories and content from users so she could eventually put it all together into an overarching strategy. “No one had titles, but we had disciplines,” she says of her role at FiftyThree. “Like many growing startups, we went from everyone wearing multiple hats to specialization. In the last year, I have gained a more honed-in purpose overseeing content with my colleague Rachel Romano. The ROI of content isn’t always apparent, but creating long-term goodwill is what makes it worthwhile. Jess explained that 500 Startups’ fast growth into places outside the United States has caused them to re-think how they connect with a more global audience. Their initiatives like London’s Distro Dojo align closely with the company’s global expansion into Africa, Asia, and Europe. They’re also acutely aware of the importance of highlighting new voices in the tech world, now more than ever. “We want to spotlight underrepresented groups in tech,” says Jess. Their content consistently reflects this message, both in their offline conferences as well as in their online content about the community. Content strategy needs a direction — a compass — that points to what every piece of content should accomplish and why it exists. 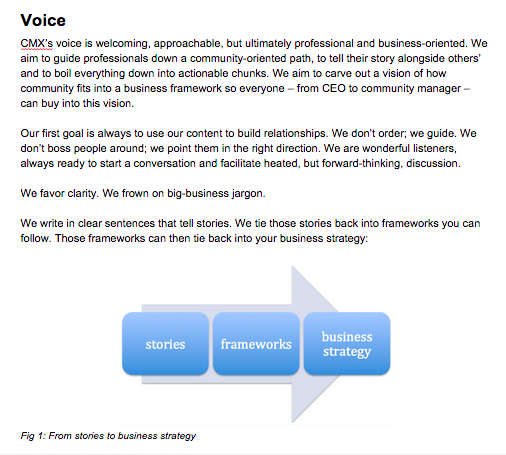 A core strategy statement acts as that compass for diverse teams to collaborate on content. It shouldn’t be based on today’s reality; instead it should be something to strive towards. Content “product”: What content will we produce, procure, or curate? Audience: Who, specifically, is that content for? Member needs: Why do our audience expect that content from us? Business goals: What is the outcome we will achieve from providing this content? Once you have a working version in your hands, use this statement to make content decisions. You should be able to justify why you say no to a project using your core strategy statement. This is the true gift of a core strategy statement. 3. Content strategy supports community members’ stories. “For the team at FiftyThree, great content shows what the community is making, and it’s our job to share their story,” says Amy. At 500 Startups (where they actually support 1,200 startups today), the stories must become increasingly more global in reach, whether that be through language translation or the form of the content crossing cultural barriers. Conferences are where they test their content. If a certain topic or a particular panelist resonated with the audience, it becomes the focus for new content. Like Product Hunt’s strategy of giving power to their members to share their stories, Jess revealed that she gets a lot of content from founders and venture capitalists themselves. She encourages VCs to share their insights in their own region or city and try to amplify founders’ blog posts. As a community professional, you become the facilitator, the arbiter, of stories. Instead of covering trendy topics for their SEO juice or being obsessed with increasing conversions, seek to support community needs first. Your community is ripe with stories, tips, and insights that would benefit other members. 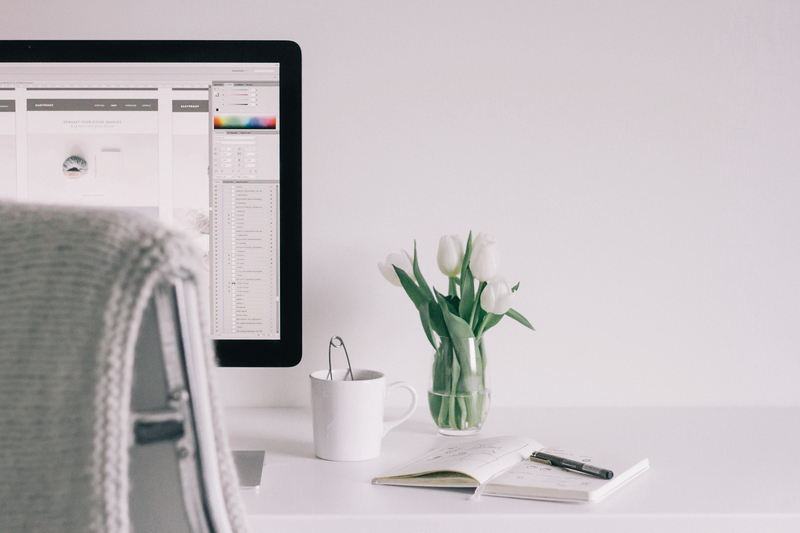 It’s time you create a plan for how you include them into your editorial calendar. Try this by yourself (if you’re a one-person team) or with your team. A convenient way to think about what stories to share and when to share them is to imagine what a person experiences before, during, and after they engage with the community. What are they looking for? What do they need at that point in the “community lifecycle”? What questions do you think people would have during each stage? What tasks would they want to complete within each stage? What would you say to answer those questions? What would you say to encourage people to complete those tasks? Look at what content your members are producing. Which ones can you use to answer those questions and support other members’ tasks? Also, see if you’ve already created content that support those questions and tasks. What do you feel like is missing? The point of this exercise is to get an idea of what your community wants to know and do, what you want your members to do or understand, and what content you have to serve those purposes. Taking into account how to incorporate community members’ stories can help them feel more special and engaged. 4. Content strategy empowers people to take the reins. Often, empowering other people to create content about their experience in your community has much more wide-ranging effects than pushing out marketing messages. The most passionate members can set the example of what is appropriate or not. Entrusting your members with content governance will make them feel exclusive, as the most active users of Product Hunt have the power to do. On Product Hunt today, only about 1% of the users have posting access and can approve product submissions. Case in point: to get permission to comment on a discussion, you need an invite from someone in the community. That means, to get the attention of these empowered users, you need to demonstrate active participation and create insightful dialogue within the community first. Product Hunt also maintains a dedicated channel on Slack for super users, who act as the de facto moderators. Giving users access to control might be scary, but it’s a necessary part of the community growth process. Your content strategy need to include these top users as well. But ultimately the overarching direction needs to come from you, even if that direction is putting members’ stories front and center and doing no creation yourself. As such, it’s important to set forth some guidelines for content creation. As you start to scale your content efforts, you will have to give away some control. At Product Hunt, for instance, they’ve created a Slack channel for their de facto community “moderators” (power users) to reach consensus. To give your members control, you have to create some guardrails first. To do this, create a style guide to get everyone on the same page. A style guide documents how you want to talk to your audience, as well as any specific guidelines you want content creators to follow. Usually, it includes your company’s voice and tone, examples that show how they are applied to different content types, your chosen style manual (like the Chicago Manual of Style), and any best practices and deviations from the chosen style manual. Although we covered voice and tone a bit in our last article, we’re pulling back the curtain on our own process here. When we say voice, we mean the brand personality that reflects your vision, mission, and values. It doesn’t change much. Tone is how you adjust the voice to fit different situations. 1. 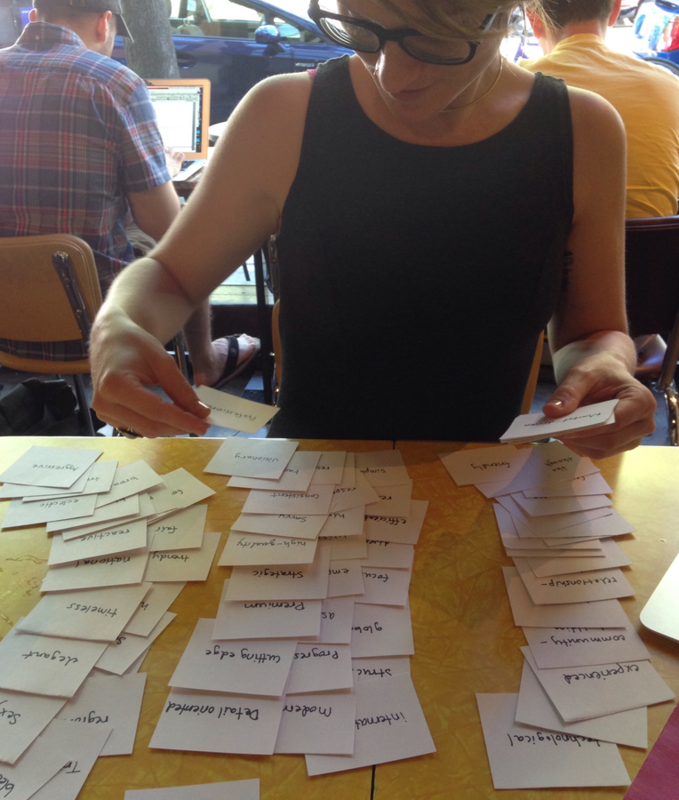 Prepare a deck of cards with a wide variety of adjectives on them. Margot’s deck has 150 cards but you may want to narrow them down to the most relevant ones. You can get the list of adjectives from her sample chapter. 2. Gather a group of stakeholders around a table, and ask them to sort them, as a group, into four categories, which you’ve labeled and set up. We are currently perceived this way and want to be (“who we are”). We are not currently perceived this way and want to be (“who we want to be”). We are not currently perceived this way and don’t want to be (“who we’re not”). We are currently perceived this way and don’t want to be (“who we don’t want to be”). 3. Gather the cards from the two “don’t want to be” piles and set it aside. 4. Gather the cards from the two “want to be” piles and have the stakeholders move cards from the “who we are” to the “who we want to be” pile. 5. Now concentrate on just the “who we want to be” pile. Ask stakeholders to group them into three to six categories. Some natural groups might start to emerge. Name each group by picking one adjective that best represents each group. 6. Ask them to prioritize these groups. Document the decision so everyone knows what qualities to prioritize in their communication. This exercise also gave us a plan to strike the right tone in our various content types, like in our articles, newsletter, and Facebook posts. With a guideline for voice and tone, we could audit our past content and existing website pages to ensure we strike the right chord with our members who come to discover us and then join the community as a result. At the end of all this work, hopefully, you are well on your way to creating the six key pieces of content strategy (or a folder containing all six pieces). Once you create them, you’ll have the backbone of not only a solid content plan, but also a community vision as well. Once you start to pull apart the pieces that make up a content strategy, you’ll be surprised how much clarity you now have into the community strategy. One of the keys to moving a community forward is focus, and your content strategy will allow you to do just that: focus on doing what is “right” and saying no to distractions. This is how you work toward community wins and move away from “shiny object syndrome,” where every community initiative looks like a good community initiative. This kind of unwavering focus is what you will need to achieve the dream of every community professional: doing right by both your community and your company. And you’ll be organized and strategic while doing it.